Protect your pavers with brick paver cleaning services from McBride Pro-Seal. 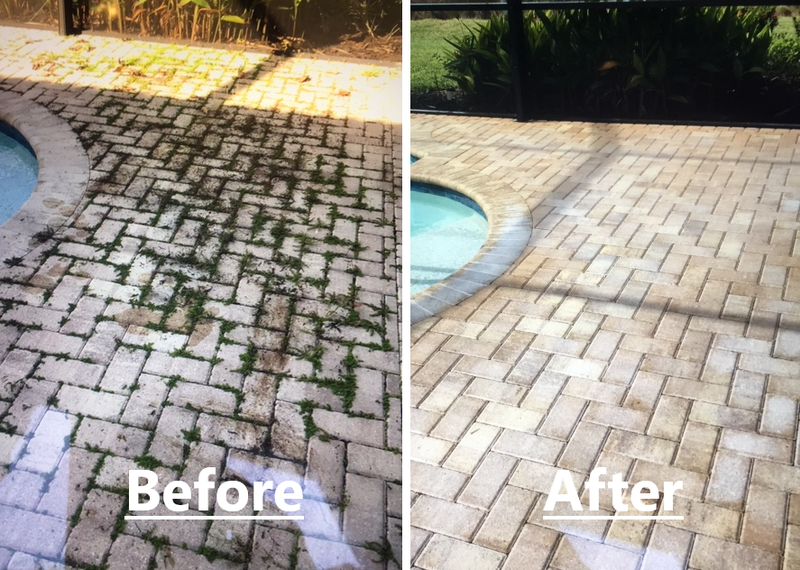 We provide brick paver cleaning services to homeowners throughout the Naples, FL area, and can help you restore and maintain the aesthetic appeal of your pavers. From driveways and patios to walkways and pool perimeters, we clean all types of pavers for our customers. One of the tenets of our business is quality over quantity, as we are selective in the jobs we take rather than try to do as many jobs in a day as possible. Dirt, grime, grease, water, sand and other debris have a tendency to build up in pavers, making it essential that you carefully clean them to ensure they remain a visually appealing focal point for your property. Schedule your brick patio cleaning, driveway lanai & walkway services by contacting us today.